38 years, 3 months, 6 days old age. Pitbull will turn 39 on 15 January, 2020. Only 8 months, 24 days, 7 hours, 43 minutes has left for his next birthday. Pitbull has celebrated the total number of 38 birthdays till date. See the analysis by days count and bar graph. 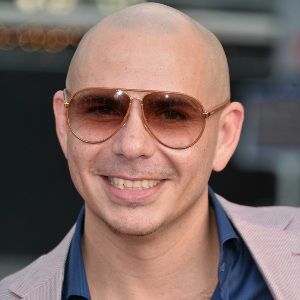 Pitbull was born on 15-01-1981 in Miami in the state of Florida, United States. He is an American Rapper, Singer, Film Actor, Record Producer, Musician, Video Game Artist, Recording Artist, Songwriter & Television Actor. Armando Christian Pérez, popularly known by his stage name Pitbull, is an illustrious American singer and rapper. His parents divorced when he was young and he was supported by his mother alone. Jose Marti, a Cuban national hero and poet, influenced him and even at the age of 3, he could recite his most famous works. He believes his high music acumen and popularity comes from the fact that he spent his childhood listening to Salsa, Merengue, Bachata, Bass Music, Hip-Hop, Techno, House and Rave. He completed his education at South Miami Senior High School and graduated from Miami Coral Park High School. Immediately, he was steadfast on focussing entirely on his rapping. Lil Jon, already an accomplished singer, gave Pitbull his first rapping break in his 2002 album, 'Kings of Crunk'. In 2004, came out ‘M.I.A.M.I. (Money Is A Major Issue)’, his first solo album with TVT Records, and Lil Jon and Jim Jonsin as the producers. Some chart topping tracks from the album are: “Culo”, “Dammit Man”, ‘Back Up”, “Toma” and “That's Nasty”. On October 31, 2006 came out his second album ‘El Mariel’. This is the same boat that was mentioned in the Al Pacino Epic 'Scarface'. Also, he dedicated this album to his father, who had passed away in May the very same year. Some chart topping tracks from the album are: “Bojangles”, “Ay Chico”, “Fuego” and “Dime”. In 2010, he did several collaborations. Noteworthy amongst them being, “Somos El Mundo” (We Are The World) with Emilio and Gloria Estefan. “Heart, Beat, Love” with Janet Jackson. “Armada Latin” in the album ‘Rise Up’ with Cypress Hill (Latin rap legend), “All Night Long” with Alexandra Burke, and “DJ Got Us Fallin in Love" with 'Usher'. For his constant grooving and pop tracks, he received humungous crowds for his concerts, which were 'Rebelution Tour'(2009-11), 'Planet Pit World Tour'(2012), 'North American Tour', 'Pitbull and Enrique Iglesias Tour' and finally 'Pitbull Live in Hong-Kong’. He was born to Armando Perez and Alysha Acosta. He has a daughter named Destiny Pérez, and a son named Bryce Pérez with his ex-girlfriend Barbara Alba. Pitbull delivered chart-busters like "Give Me Everything" which topped the Billboards top 100', and “Hey Baby”, which went till the 7th spot. A large chunk of his wealth goes in charity. ‘El Mariel’ (His 2nd album) was at the pole position on the Billboard independent albums chart, number 17 on the Billboard 200 and second on the rap chart. “I Know You Want Me” was charted at the second position on the Hot 100.